The fast fashion industry is the world's second largest polluter of clean water after agriculture. The use of cheap textiles derived from fossil fuels, toxic dyes, and the speed at which garments are produced and discarded are all contributing factors. According to the EPA, the average American throws away 80 pounds of clothes each year - that’s more than 10 million tons sent to landfills. Much of which are synthetic and can take hundreds of years to decompose. And let’s not forget about the human cost. Garment workers are often subjected to dangerous work environments, paid low wages, and lack basic human rights. For many, abuse is a daily reality. Further down the supply chain, farmers are forced to work with toxic chemicals and pesticides which can have devastating effects on their health. Then there are the animals. When toxic dyes are released into waterways it pollutes freshwater sources. And when microplastics from synthetic fabrics make their way into the ocean they’re ingested by marine life. 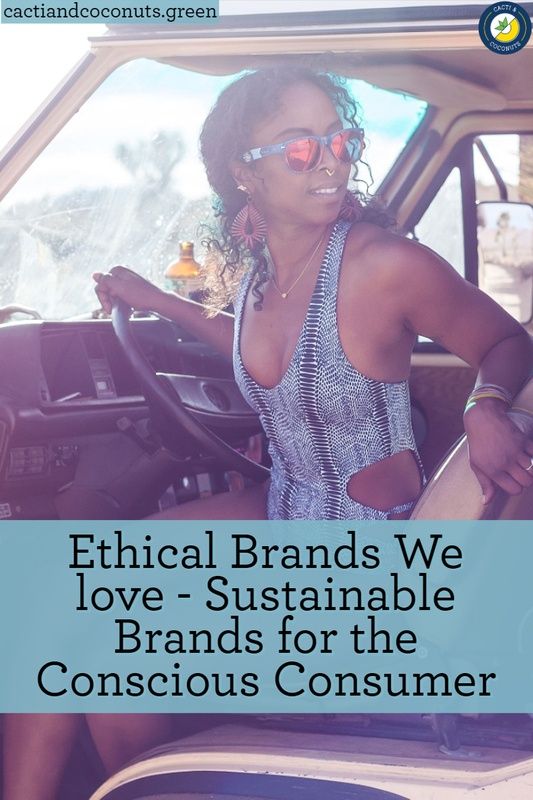 So read on for our favorite Sustainable + Ethical Brands. If you’re going out and buying new clothes, make sure you’re doing something responsible with your old clothes. Donate them because there is no such thing as away. When we throw anything “away” it must go somewhere. HELPSY is a for-profit B corp who donates clothes to those in need, while also keeping clothes out of the trash. As much as 95% of what they collect is reused, upcycled or recycled. A family run business committed to producing clothing with the highest environmental and ethical principles. Using certified organic cotton, recycled polys and low impact dyes, Synergy creates soft, comfortable, beautiful garments. They also offer a “Recycle your Synergy” program, so when you think you’ve worn out a piece of synergy clothes you can mail it back to them to be recycled or drop it of at their store. Visit the website to learn about their sustainable manufacturing processes. A natural clothing brand for kind souls and free spirits. Whether it’s organic cotton basics, recycled fibers, low-impact dyes, made in the USA or fair trade, they carry natural fiber clothing and one of a kind, handmade products that are crafted in a positive way. They also reuse all packing and shipping materials they receive, recycling everything they can. I just love this colorful, eco-friendly brand. Clothing for positive change. From the farm to the factory to our closets, we all have an opportunity to reduce our impact on the environment. PrAna makes purpose-driven, durable, and versatile clothing for your active lifestyle. They use organic cotton and hemp and recycled polys. They’re transparent about their practices and sustainability initiatives. Their ultimate goal is to inspire, educate, and outfit your adventures with sustainable clothing. Style with a conscience. Fair Indigo is a small business (7 employees strong) started because they believe in a better way of doing business - by creating timeless, high-quality clothes while paying the good people who make them fair wages. Fair Indigo was founded to change the way the apparel industry works. And to inspire you to change the way you think about your clothes. With transparent, sustainable practices you can shop your values for women, men, or baby - fair trade, organic, recycled, USA made. Select from a mix of casual and work wear. 20 years of organic + fair trade fashion for women and men. Indigenous purpose is simple: to be the most ethical, transparent, and sustainable fashion company in the world. Head over to their website for a copy of their impact report, learn about their philosophy, and see the faces of the dynamic Artisans behind the Indigenous brand. Casual + workwear and beautiful accessories. Women’s apparel for those who believe in a better world. A world where honesty, transparency, and sustainability reign. They create products from 100% recycled materials, give back to the communities where they work, and pay fair wages to those who make their clothing. Lur believes the production of ethical fashion can help create a rising tide of prosperity. The fiber content in their sustainable apparel consists of pre-consumer cotton scraps from commercial apparel and textile facilities, while the other half comes from post-consumer plastic bottles recycled into polyester fiber. Started as an activewear line, Threads 4 Thought is now a full lifestyle fashion brand for men and women. 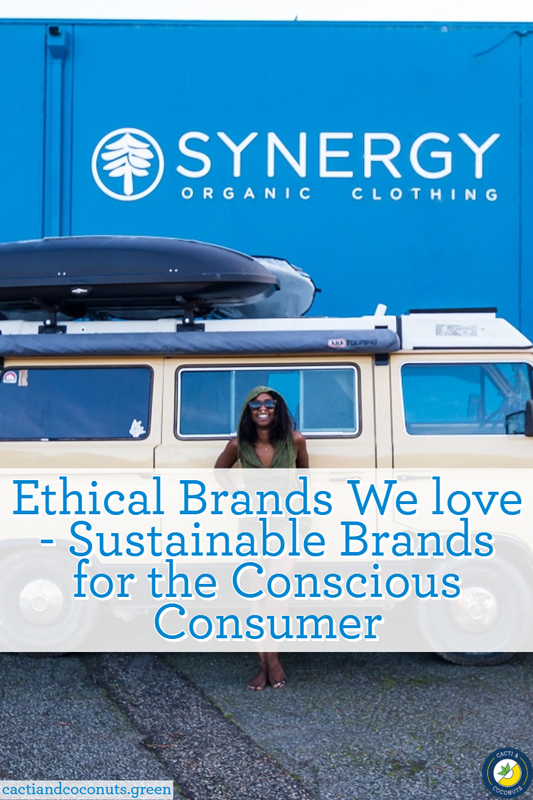 Their products are produced responsibly & they take pride in supporting sustainable initiatives that help to improve our planet & move the fashion industry towards a healthier future for us all. Join the movement, and wear your Threads well. Designed to make effortless silhouettes that celebrate the feminine figure. Pieces are made from super sustainable materials, rescued deadstock fabrics, and repurposed vintage clothing. Their goal is to push harder to create more sustainable fabric options. And they’re transparent about their sustainable + ethical practices (check out their impact report). They’ve also launched a program called “RefRecycling” for unwanted clothing - you can print out a Ref shipping label, slap it on the box your stuff came in (or any other box), fill it up with whatever you want to recycle, and have it picked up at your door. They'll sort your clothes to either be responsibly reused or recycled. A brand that prides itself on radical transparency. Offering lifestyle clothing for men and women. They believe their customers have a right to know how much their clothes cost to make. They reveal the true costs behind all of their products - from materials to labor to transportation - then offer them to you, minus the traditional retail markup. A collective of creative Los Angeles based women who make elevated yet wearable pieces for the everyday. They support women in the workforce in all aspects of their organization, supply chain, and community. Made in the USA, California to be exact. With a commitment to sustainability their goal is to move to 100% sustainable fabrics by 2020. They offer a small collection of quality denim pieces and tees made ethically. A women’s clothing brand creating seasonless pieces that can be worn a myriad of ways. They aim to discourage the disposable view of clothing that has become increasingly pervasive. They cut and sew all of their garments locally in their Nashville design studio using only the highest quality, natural fiber cloths. Made in the USA from regenerated nylon, Manakai specializes in seamless/reversible swimwear with a mission geared toward ocean conservation and women empowerment. They take a thoughtful approach to manufacturing: slow and small batch production. Manakai Swimwear is more than a swimwear brand. It is a lifestyle created by the spirit of the ocean. Vigo swimsuits are handcrafted out of recycled fabric made from plastic water bottles and reusable materials, which is why when you buy Vigo, you contribute to decreasing plastic pollution. Every Vigo piece is handmade and reversible, giving you a travel friendly, convenient, and fashion-forward swimsuit. All of Koru’s swimwear is made from recycled nylon derived from post-consumer items such as discarded fishing nets and carpet fluff bound for landfills. They’re a member of 1% for the Planet, and their blog celebrates eco fashion, calls attention to problems in the fast fashion industry, and spotlights people and brands that are doing it right. Founded, designed, and produced in California, Vitamin A combines feminine design with sustainable innovation. Made from EcoLux fabric - a technically and environmentally superior luxe fabric made from recycled nylon - and inspired by 70’s beach glamour with effortless, natural sexiness and that laid-back West Coast vibe. These are probably the most comfortable underwear I’ve ever worn. Made from bamboo viscose - easy on the skin, superbly soft, and highly breathable. Boody believes in the power of transparency throughout every step of the supply chain. Head over to their site to learn about the four pillars of BOODY. Forget fast-fashion; think lasting, ethically made and sustainable pieces with extra-durable bamboo rayon you can wear over and over. Every bra and pajamas of this conscious clothing brand is made with the best organic cotton and environmentally friendly fabrics, like Modal and Tencel, right here in the USA. Through local production, they ensure nothing is sprayed with chemicals, waste water isn't dumped into our oceans, and the people sewing are treated ethically and paid fair wages. Organically & sustainably grown Pima cotton. This cotton is used in garments that are meticulously sewn for superior comfort, and one recycled plastic water bottle is used in every waistband of their underwear, meaning one less bottle in a landfill. Head over to their fun and colorful site and explore all the amazing work this company is doing to save the world, one underwear at at time. Mission: “We’re in business to save our home planet.” This is a company that’s doing it right. Their cotton is certified organic and the majority of their materials are made from recycled fabrics, including their nylon, polyester, and wool. As members of both the sustainable apparel coalition and 1% for the planet, they reject fast fashion. Patagonia creates high quality, long-lasting products and they offer a repair and reuse program called “Worn Wear”. They even go so far as to discourage customers from purchasing too many of their own products. Patagonia is pushing sustainability across the board. They make silky soft, high quality leggings from recycled plastic water bottles. And waisTTEd donates 10% of net proceeds to The Ocean Cleanup, the largest ever conducted ocean cleanup in the history of mankind. Their mission is to empower a healthier mind, body, in a better & cleaner world. Giving is core to Cotopaxi’s model. Each of their products is attached to a specific humanitarian cause, ranging from clean water provisions in India to a child’s schooling in Peru. When you buy a product from Cotopaxi you know what difference you’ve made. You can even shop their re-purposed materials collection. In all their products they use alternative natural fibers like llama fleece insulation and remnant fabrics that would otherwise be discarded, which gives them a unique style. Their garments are crafted with sustainable materials & processes, including organic & recycled materials like post-consumer polyester, low-impact dyes & water-conserving washes. Alternative apparel ensures fair, safe & clean workplace conditions on a global scale. Because clothes shouldn't come at the expense of our planet or people. A versatile collection of men and women’s shoes, sandals, loafers, slip-ons, boots and more, with a contemporary classic style. Nisolo sources their leather from tanneries committed to the ethical treatment of animals (always a byproduct of the meat industry) and the implementation of eco-friendly waste disposal systems. The goal is to push the fashion industry in a more sustainable direction--where success is based on more than just offering the cheapest price - a direction that not only values exceptional design, but the producer and the planet just as much as the end consumer. Nicora boasts a commitment to a Transparent and Cruelty-Free supply chain. Shoes made for women from a company run by women. To live up to their ethical and ecological standards, they’ve created their own material called Kind Leather. It’s made with recycled materials and organic waste, completely free of animal products, and is repairable or recyclable at end of life. Their materials factory is ran with a mix of clean and solar power which eliminates nearly all of the energy costs and emissions from the production process. They also offer vegan shoe repair. A unique collection of men and women vegan shoes. Sydney Brown espouses respect for the environment with sustainable material development being key to each season’s design process. Each component of the shoe is carefully developed to fit with the brand’s ethos, utilizing recycled and sustainable materials not derived from animal products. They pride themselves in offering good working conditions, fair labor practices, foot health and shoe comfort for wearers. Their slogan is "Responsibly Grown, Beautifully Made." Their goal is to make hats in styles that people want to wear, and make them from responsible materials using responsible business practices all at a fair price. They feature cruelty-free wool and recycled bottle hats. Committed to pushing the boundaries of sustainability. By using 100% natural materials and planting 10 trees for every hat sold means that they can give back to the community and all the places they play. “For the compassionate woman” (they also offer a few items for men). A Kind Boutique is a beautiful mother/daughter team dedicated to slow, intentional, authentic, simple, conscious, and holistic living. Created in 2014, A Kind Boutique showcases quality fashion + lifestyle items that are ethically produced (Nothing they sell was made in a sweatshop). A ‘kind’ boutique experience is about slowly changing the way we consume products because we would rather have fewer items that are special than have closet full of ‘not that great.’ And when you purchase an item from their store you are helping others. Shop Ethical with options including: fair trade, organic, USA made, charitable, recycled, vegan, non-toxic, handmade, and sustainable dyes. Based in Texas, this online retailer is a place where you can learn about ethical fashion, discover emerging designers, and shop a high-style selection of ethical and sustainable labels. Through their website, they hope to contextualize shopping within a larger global narrative, highlighting the very real impacts of our collective consumption choices. They feature designers that source ecologically responsible materials, develop sustainable production processes, treat their workers well, and give to charity. Shop by: sustainable, made in the USA, trade not aid, handcrafted, vegan. With a clear marketplace mission, this online retailer is designed by women for women, built with brands that take responsibility for their impact - on customers, employees, communities and the environment. They pride themselves on extensive research to build transparency and find products with the highest integrity so you can spend less time online, and more time outside. And there is no denying the owners love the outdoors because you can shop by activity and their outdoor brands are extensive. Aslo, shop by: clothing, accessories, footwear, home, kids, pets. They pride themselves in focusing on creating a purely plant-based, 100% natural skincare line, free of toxins or synthetic compounds. Earth tu Face uses 100% plant-based, food grade ingredients chosen to heal your body and our planet. Non-GMO, plant derived Vitamin E, organic beeswax, organic, virgin cold-pressed oils, and plant extracts hand chosen by herbalists. They boast reusable, compostable and recyclable containers, organic and wild-crafted ingredients, NO animal testing. All products and packaging are made in the USA. 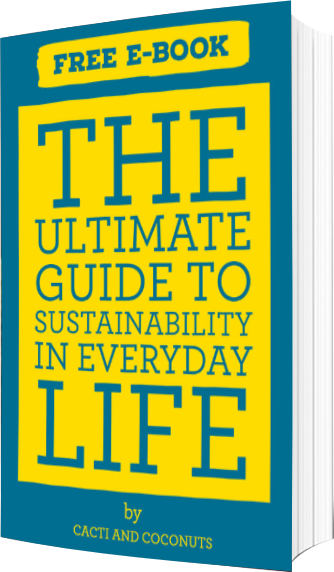 Created by a zero waste activist to make ethical + eco-friendly living easier and more affordable. Bestowed Essentials uses all-natural ingredients, vegan + cruelty-free, and zero waste packaging. They also give back to charity, and their products are handmade in the USA, affordable, yet high quality. All of their hand-poured products are made using only the finest naturally derived, organic, wild-harvested and non-GMO ingredients. Their oil-based system harnesses plant and essential oils to gently and safely nourish the skin. The products do not have any added water to ensure you’re only getting the ingredients that matter in a potent and effective state. Famous for their reversible Cork belts - all hand made from sustainably harvested cork tree bark. They also create all sorts of accessories and integrate many more cool materials. As a vegan brand, they bring an urban style to a natural product, taking care to produce cruelty free, socially conscious, and well-crafted products. They don’t think you have to sacrifice good looks for good values, which is why they use fair trade and environmentally friendly materials in the construction of their products. Manufactured from seed to skin. They source directly to the seed and trace all of their fabrics from the farm to the factory. They only use 100% GMO-free, pesticide & herbicide-free, recycled, & fair-traded Ingredients. From seed to skin, they are committed to developing awareness of all lifecycle stages of their fabrics and garments, starting with the harvest cycle that the fabrics are derived from all the way through to the California based, home-sewn production of their finished garments and distribution to their customers. They are redefining transparency and human responsibility by supporting family farms, localized manufacturing, living wages, and Monsanto-free, post-consumer ingredients. A small-batch skin care company that creates vegan products with pure, all natural and organic ingredients. All products are made with organic, unrefined plant oils and butters, steam-distilled and cold-pressed essential oils, and organic and wildcrafted botanicals. They pride themselves on being a vegan brand, and use no animal-derived ingredients. And Meow Meow Tweet is committed to using the least amount of plastic packaging possible. Plus their name is fun to say.